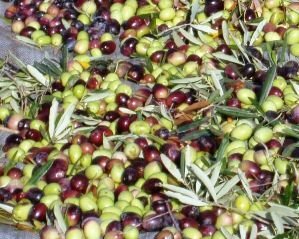 November is the start of the olive picking season in Greece and having olive fields in Chalkidiki, me and my family are also involved in this. This year I invited more people to come volunteer and participate in the olive picking. Marco from the Netherlands, Heloise from France, Cam from Australia, Fam from Norway and Dimitris from Greece joined me, my sister Villy and my mother in the olive picking process. The weather helped in making it more enjoyable as it was unusually warm and sunny.